Aside from the odd rumble of a tube train, or perhaps a burst pipe in winter, Londoners often overlook the goings on beneath their feet. For this reason many are unaware that the city is built on a network of rivers and streams- each one progressively covered over as the city developed. These underground waterways have not disappeared entirely from view with the odd street name (such as Fleet Street) and occasional opening in the banks of the Thames acting as reminders of their presence. Many people enjoy walking along the routes that these rivers flow and others have made efforts to map them. 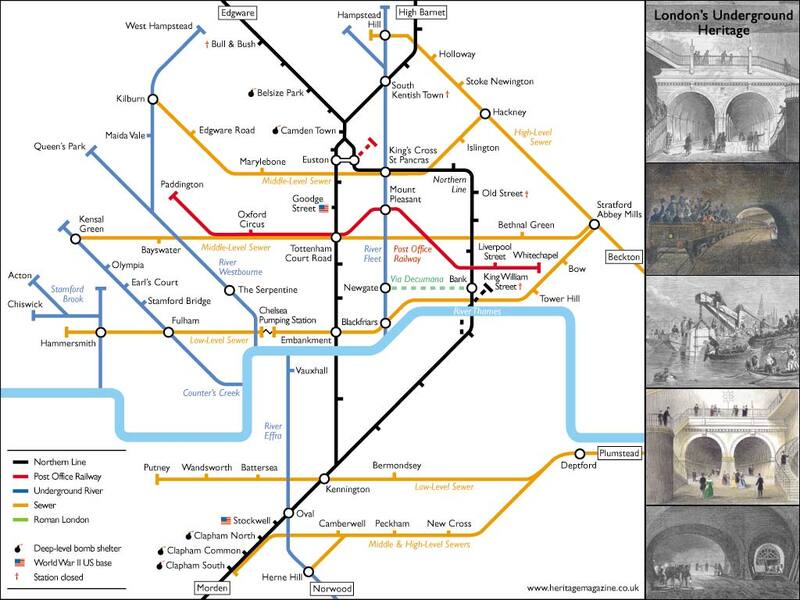 One of the most novel maps has been produced (I think) by Richard Fairhurst for Heritage Magazine and shows a few of the subterranean rivers alongside some other notable underground features in London. 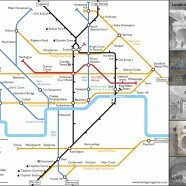 It is, of course, based on Beck’s Tube map. 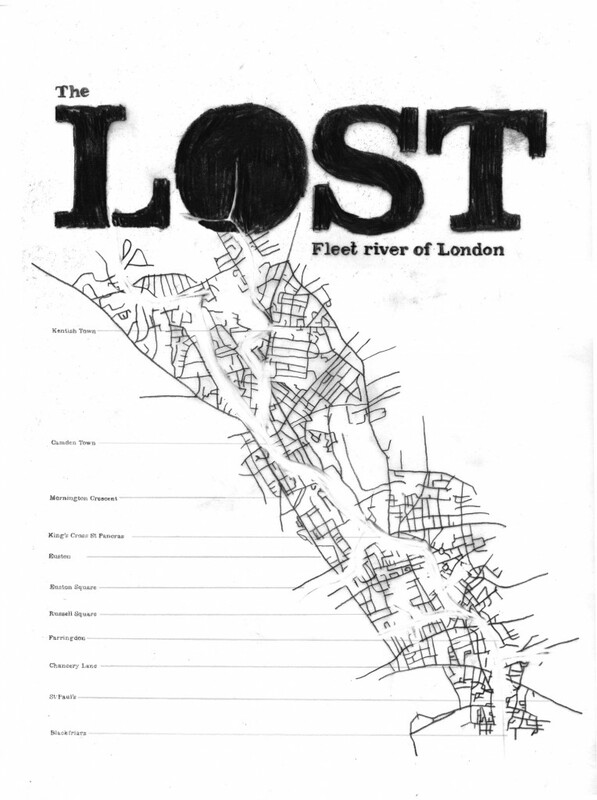 The most impressive map of London’s lost rivers I have seen is the animation below produced by Sandra Crisp. Of all the rivers in the animation above it is the River Fleet that seems to inspire the most people and Simon Dovar is no exception. He created one of my favourite entries to the Londonist Hand Drawn Maps competition which charts the route of the fleet across London by erasing the pencil-drawn road network. which direction do I need to go in to find detailed printed maps of underground streams in my own area London N134DP – do such things exist? We are discussing the reason why the London Underground does not go further South. I say it is because of geological difficulty and underground rivers and water courses. One particular question is being asked. “Where is The Wandle on the map?” we know it goes under the shopping centre but is that all?